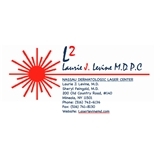 Laurie J Levine, M.D. (Mineola) - Book Appointment Online! Mineola Dermatology features board certified dermatologists and a talented and dedicated professional staff impeccably trained in the latest techniques, using state-of-the-art technology. Some services that we provide include Botox Cosmetic, Fillers, Laser Hair Removal, Dermasweep, Tattoo Removal, Vein treatments, Removal of Age Spots and Freckles and a full line of skin care products. You may make an appointment with our medical assistant/aesthetician for laser hair removal,chemical peels, and microdermabrasion. I was satisfied, and felt comfortable for a first-time visit.